Holidays are about getting wet. Sometimes it’s due to the Great British weather, but at Away Resorts holiday parks the splashes are self-inflicted! 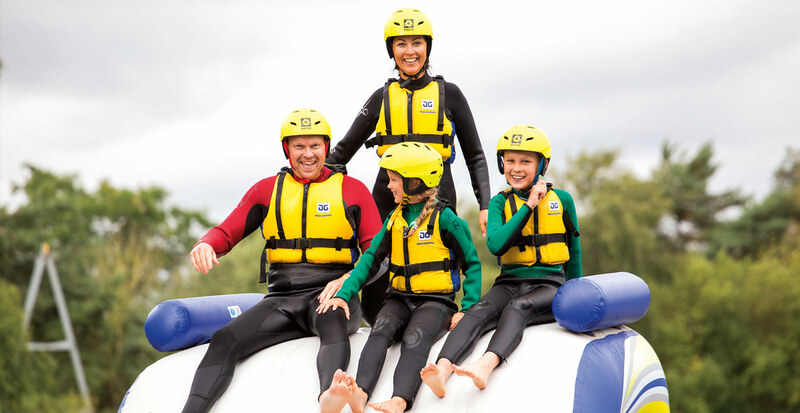 We have a huge range of watersport activities to keep everyone happy. At Tattershall Lakes, there’s a splash pad for toddlers, while Mill Rythe and Whitecliff Bay both have slides for the kids. There’s wakeboarding, waterskiing and a water park with inflatables, while aquajets and snorkelling are available in pools at all six parks. For adults keen to chill out, Tattershall Lakes has a hot tub that overlooks the main lake, while some luxury lodges at all parks have hot tubs to soak away the day’s excesses.